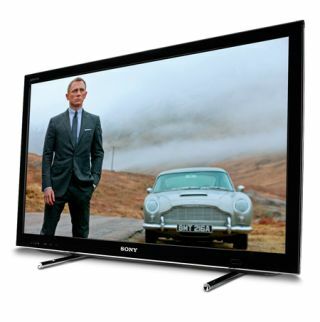 HOT DEALS on Sony's 2012 Award-winning TVs | What Hi-Fi? Sony is running a special Blu-ray promotion on some of our 2012 Award-winning TVs and Blu-ray players. Buy a Sony KDL-32HX753, KDL-40HX853, KDL-46HX9853 or KDL-55HX853 and you'll qualify for a free Sony BDP-S490 Blu-ray player, free five-year warranty, two free pairs of 3D glasses and selected Blu-ray box sets. Go for one of the three larger sets and you'll get the 50th anniversary 22-disc James Bond Blu-ray Collection and four Spiderman films, also on BD. Buyers of the 32in set get the Spiderman films, but not the James Bond Collection. You can check out the latest offers on these Award-winning TVs on the whathifi.com shop by clicking here. Sony is also offering free Blu-rays with its BDP-S185, BDP-S490, BDP-S590 and BDP-S790 Blu-ray players, along with a selection of its Blu-ray home cinema systems. The Blu-ray promotions are running from now until January 31st, 2013 while stocks last.